Egypt announces it will hold its parliamentary election starting on October 18-19, as path to democracy continues. Egypt will hold its parliamentary election starting on October 18-19, the election commission said on Sunday, according to Reuters. The announcement marks the final step in a process to bring back democracy that critics say has been tainted by widespread repression. Egypt has been without a parliament since June 2012 when a court dissolved the democratically elected main chamber, dominated at the time by the now-banned Muslim Brotherhood. The election was due to begin in March but was delayed after a court ruled part of the election law unconstitutional. A second round of voting in the two-phase election will take place on November 22-23, the election commission told a news conference. Voting for Egyptians abroad will take place on October 17-18. Then military chief Abdel Fattah al-Sisi, who went on to become president, led the ouster of Egypt's first freely elected president, Mohammed Morsi of the Muslim Brotherhood, in 2013 after mass protests against his rule. The army then announced a "roadmap" to democracy in Egypt, which was followed by a crackdown on Islamists. Egyptian courts have sentenced hundreds of alleged Brotherhood supporters to death during the crackdown, many in mass trials condemned by foreign governments and rights groups as violating international law. 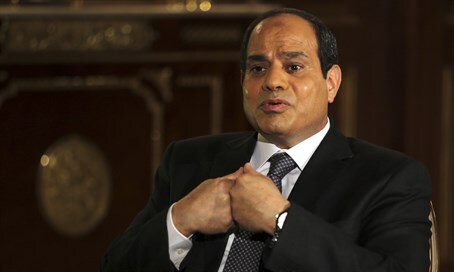 In the absence of parliament, Sisi has wielded legislative authority to curtail political freedoms but also introduced economic reforms, noted Reuters. The House of Representatives is made up of 568 seats, with 448 elected as individuals and 120 through winner-takes-all lists, with quotas for women, Christians and youth. The president may appoint a number of people to the house, not exceeding 5 percent of its makeup. Some political parties criticize the emphasis on individuals as a throwback to Mubarak-era politics, which often favored candidates with wealth and family connections.